Sometimes I’m challenged with the concept of creating something with specific materials and this project is case in point! 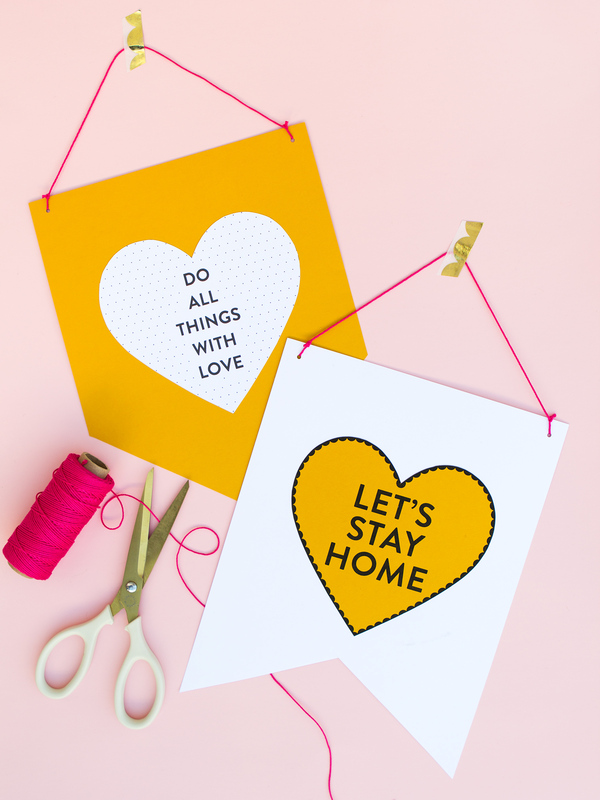 I partnered with Lowes to create Valentine’s Day decor using only materials found in their store. 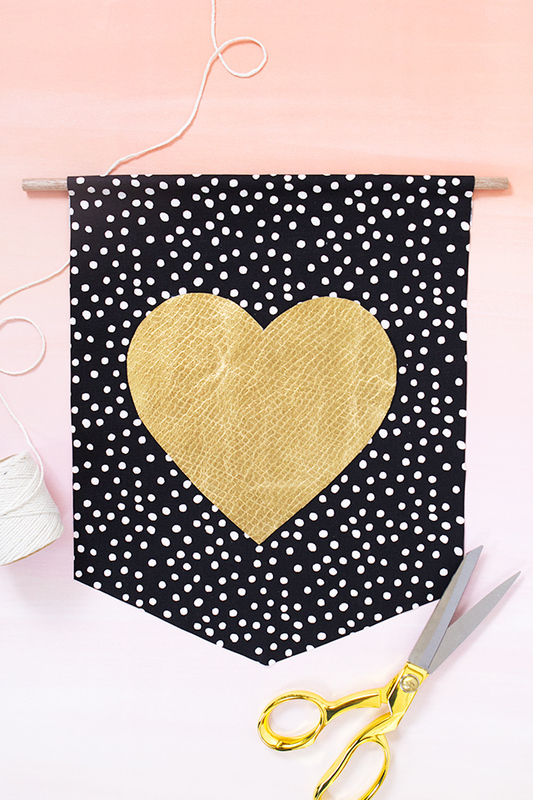 And the result is above—a DIY heart shaped wall hanging that can be displayed long after Valentine’s Day has passed. It uses some of the supplies pictured above like flat metal washers and a copper pipe. Check out the video tutorial below to see exactly how it’s made! Spray paint the metal fender washers with an even coat of spray paint. Allow to dry completely and then paint the other side. Cut the cotton rope in 10 pieces, each 3’ in length. Beginning in the center of the copper pipe, fold one piece of string in half. Loop it around the copper pipe and bring the ends through the loop, attaching the string to the pipe. Begin threading the painted washers onto the two pieces of string using an under-over method. Once 10 washers are threaded, begin working on the other strands to complete the heart shape. From left to right, the number of washers used are 4, 6, 8, 10, 10, 10, 8, 6, 4. Adjust the placement of the washers as needed and then double knot the end of each column. Use scissors to trim the ends of the rope. Thread another piece of string through the pipe and knot the ends. 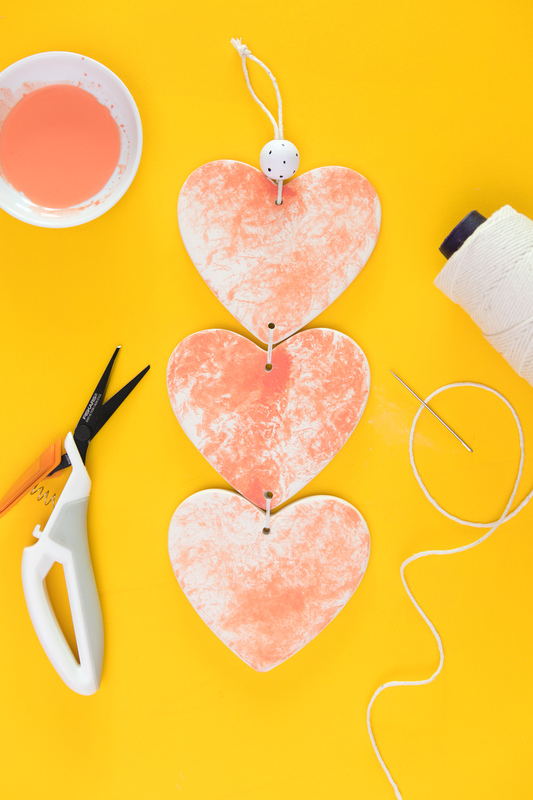 Hang the finished heart wall hanging on a door, wall, or anywhere you would like to add a little Valentine’s Day decor.